FindIT Group.org • View topic - Why are U.S. banks in the silver shorting business? Everyone can look at the data and form their own conclusions. But when silver is in short physical supply, commanding injuriously high premiums and difficult to locate; when investors are piling into the silver ETF in droves, a 40% silver price plunge is not only not warranted, it smells. Silver just endured a near collapse, having fallen from the $19s in July all the way down to test the middle $12s. Very seasoned silver traders who correspond with this report have expressed their shock and disbelief as to how violent and how strong the down-spike has been so far. In the world of silver just about everyone has to be asking how it was possible that during the month of July silver would peak at over $19.00 and even though physical silver was commanding high premiums even then, the metal could plunge off a cliff seven dollars or more, a drop of 40%? Well, it could be that silver commentator and analyst Ted Butler has discovered evidence of what might be the single largest commodity manipulation in the history of the metals futures markets in the U.S. If Butler is correct, (and the data are compelling that he might be), two U.S. based banks apparently crushed the silver market with an overwhelming onslaught of short selling of silver futures on the COMEX, division of NYMEX in New York, sometime between July 1 and August 5, 2008. In a short article entitled “The Smoking Gun,” Butler examines the reported positioning of banks in the futures markets. The bank positions are reported monthly by the Commodities Futures Trading Commission (CFTC) and those public reports are available on the CFTC website here. GATA reference to the Butler "The Smoking Gun" article. Re: Why are U.S. banks in the silver shorting business? Good discussion on the Butler "The Smoking Gun" article on the Prudent Bear forum. And despite this on-going, successful squashing of PM prices by the Evil Cabal for the entire seven years I have been in them (seven for gold and five for silver, actually), I refuse to admit defeat and sell out. Why do I have the no-so funny feeling that Ted Butler and others will be writing about the manipulation in the PM markets five years from now and stating "This can't go on any longer! One day, we swear, the GHSs and SHSs are gonna rise up and NOT be panicked out of their positions!!!" 100 million sheeple in long-only mutual funds, 401(k)/IRAs, and stocks, and PM suckers staying in PMs despite repeated decimation by TPTB. The banks don't have the silver to deliver and the market is calling their bluff. Investors are buying the ETF and physical silver and yet the paper price continues to be lower than could be expected. Seems to me that the COMEX is covering up a shortage of silver for delivery. Someone who wants silver and has paid for silver is not getting it and that is fraud. I have a strong suspicion that the ETF is the one that isn't getting the physical silver it is buying from the COMEX. For it's holdings to have increased 308 tons in the last month and this kind of short interest to be outstanding means that the ETF has bought some of these shorts that the banks entered into. Moreover, the ETF should be demanding delivery. However, since they are part of the manipulation scheme, it wouldn't surprise me if they don't demand delivery. This is of course why the ETFs were formed, so that infinite amounts of paper silver could be sold without there ever being a physical squeeze. The thing they didn't count on was the retail market being this strong. It's just getting stronger and the longer this persists, the more likely it is that the ETF and these banks are going to be exposed as frauds. JP Morgan and HSBC are the top 2 silver shorters as explained here. The question remains: "Why?" Jon Nadler, a Senior Analyst at Kitco sez it's all on the up and up. There is no bank conspiracy. Rob Kirby chimes in with this piece called "Wake-Up Call"
That such obscenities are allowed to continue – UNREPORTED by the mainstream financial press – is, in itself, a condemnation of not only how warped, twisted and connived our capital markets are, but how COMPLETELY BROKEN and complicit our system of free speech and irresponsible our media have become. We should ALL CARE about this because, in the immediate term, market manipulations like the ones outlined above lead to the inefficient allocation of valuable, finite resources. We see the manifestation of these inefficient choices in shortages – of food, precious metals and energy – and the debasement of fiat currencies and geo-political instabilities. The current track is NOT SUSTAINABLE. This is evidenced by the recent “decoupling” or widening of spreads between the futures [COMEX] price of precious metals and the prices being paid to acquire physical metal. We see the same type of divergence in the interest rate complex where LIBOR is set [effectively by 3 month Eurodollar Interest Rate Contracts] at contrived rates where banks are UNWILLING to lend money. Under our current monetary regime the distortions outlined above will continue to intensify." "A short position of 33,805 contracts is a big number. It represents 169,025,000 ounces of silver. That is a net short position by two U.S. banks of 5,257 tonnes on silver worth about $2.7 billion at $16.00 the ounce." $2.7 billion worth of "silver sold" has important implications, as even more 7th Grade Math will show. The CPM Group has estimated that out of the 550 million ounces of silver produce by the mines, only about 60 million ounces are purchased by investors annually; the rest, and more (from recycling and government selling) goes to industry, jewelry, and photography. The 60 million ounces purchased by investors, at an average of $13/oz., as 7th Grade Math shows, is $780 million dollars, or less than $1 billion. Interesting. Let's use more 7th Grade Math to compare those two numbers. $2.7 billion divided by $.78 billion = 3.46. See, two U.S. banks sold 3.46 times as much silver in a month, as investors worldwide, bought in an entire year. Doing more math, we can divide annnual investor demand by 12 months, to see what investors buy in a typical month. $.78 billion / 12 = $.065 billion, or $65 million. Doing more math, we can compare what the two big banks sold in a month, to what investors buy in a month. Wow. In one month, the banks sold 41.53 times as much silver promises as investors buy silver. No wonder the price went down. But the idiots who don't know basic 7th grade math, and who refuse to do 7th grade math, or who think those people who do know how to do 7th grade math must wear tinfoil hats or be some sort of "conspiracy theorists", will say, shout, deny, and scream, "no manipulation here". Right. God I love 7th Grade Math. It cuts through all the lies. It reveals so much. If two banks sold that much silver, then where is it? Who has it? Why isn't it for sale? Silver is a precious world resource that we are quickly running out of, as a result of price suppression caused by the creation of fake quantities by the COMEX futures market. The 2008 U.S. Geological Survey states that the world's total proven reserve of silver is only 270,000 tons. That means 15.57 years left on earth at current mining rates. The consumption level, of course, is rising fast, so the number of years will end up being much shorter than that. Maximum exploitable silver is only 570,000 tons (32.87 years), and this is only exploitable if the price for base metals, from which the silver is extracted, rises high enough. After mining reserves are exhausted, only recycled and hoarded metal will be left. The Survey further notes that most future silver mine production will be the byproduct of base metal production. Thus, only a vast increase in the price of silver, into hundreds of dollars per ounce, may stimulate production beyond the listed reserves. Absent this, we have just shy of about 16 years worth of minable silver left in the ground. Unlike oil reserves, which continually seem to increase, year by year, the total silver reserves have not materially changed in at least the last 10 years. Total 2008 mine production is projected to be 557.4 million ounces, up 4.1% or 23.7 million ounces from last year, according to the definitive CPM Group's Silver Yearbook 2008. [iv] Total silver fabrication demand is projected to rise modestly by 2.2% to 740.2 million ounces in 2008. [v] Demand for silver use in jewelry and silverware is projected to rise 4.6% to a total of 273.5 million ounces in 2008. [vi] Silver use for electronics and batteries is forecast to rise to 125.8 million in 2008, up 5.3% from current levels. [vii] Silver used for mirrors, brazing alloys, anti-bacterial medication, solders, biocides, and superconductors and other similar applications is expected to rise around 3% to 167.7 million ounces in 2008. [viii] Investors are forecast to be net buyers of 74.9 million ounces of silver this year. [ix] No significant sales of silver from government inventories are anticipated this year. [x] With nano-silver based catalytic converters for diesel engines on the way, a legally mandated substitution of copper in use for wood preservatives by the EU and the USA to happen within 5 years, silver-zinc batteries (with 40% greater energy storage compared to lithium-ion technology) now being marketed for mass market electronics use, silver based nano-conductive RFID ink production exploding, and a number of other new industrial silver uses on the way, the demand is likely to increase by several thousand metric tons per year, from 2008 onward. The known sources of supply are wholly inadequate to meet this demand. There is compelling new proof of a silver (and gold) price manipulation. The evidence connects the investment bank JP Morgan Chase, the dominant force in world commodity trading, the U.S. Commodity Futures Trading Commission (CFTC), the primary commodity regulator, and the U.S. Treasury Department, the arranger of every conceivable bailout. This week, I received a copy of a letter, dated October 8, sent from the CFTC to a California Congressman, Gary G. Miller. It discussed allegations of a silver market manipulation because of the data in the monthly Bank Participation Report. The data in that report for August showed that one or two U.S. banks held a massive short position in COMEX silver futures of 33,805 contracts, or more than 169 million ounces. This is equal to 25% of annual world mine production, and was up more than five-fold from the prior month’s report. After this position was established, silver prices fell more than 50%, in spite of a widespread shortage in retail forms of investment silver. Never before had there been a such a large concentrated position in any market, including every manipulation case in the CFTC’s history. Concentration and manipulation go hand in hand. You can’t have one without the other. The letter was sent to me by a reader who had the foresight to write to his Congressman. Of course, the CFTC denied that a silver manipulation existed, as they always have. This proves that the Commission responds much quicker to a member of Congress than it does to hundreds of ordinary citizens and investors. In the future, should you decide to write to the CFTC, be sure to do so through your elected representatives. What was remarkable (and disturbing) about the letter was that it strongly confirms an analysis I presented in an article dated September 2, titled, "Fact Versus Speculation" http://www.investmentrarities.com/09-02-08.html. In that article, I speculated that the shocking increase in the silver short position by one or two U.S. banks was related to the takeover of Bear Stearns by JP Morgan in March. Here’s a quote from my article, dated September 2. "I am going to speculate based upon the known facts. Maybe I will be proven correct, maybe not. However, the nature of this speculation is so disturbing, that I hope I am wrong. But I need to state it because if I am close to the mark, the implications for the silver market are profound. I think the data in the COT and the Bank Participation Reports indicate that the U.S. Government may have bailed out the biggest COMEX silver short by arranging for a U.S. bank to take over their position. This coincides with JP Morgan’s takeover of Bear Stearns. In fact, it would not surprise me if the bailout was JP Morgan taking over Bear Stearns‘ short silver position, at the government‘s request. While this silver bailout (if it happened) was no doubt undertaken with financial system stability in mind, it has disturbing implications of legality and equity"
This is the relevant quote from the CFTC’s Oct 8 letter. "In effect the increase [in the short position] reflected a one time acquisition of positions that were acquired through a merger in the industry, and not new trading by a bank. Thus, the assertion that there was new activity undertaken by the banks that led to a fall in silver prices is not correct since the "new" activity reflected in the CFTC’s report was in essence positions that had already existed in the market prior to July 1st." The CFTC clearly confirms, in effect, that the big silver short position was related to JP Morgan’s takeover of Bear Stearns, since no other merger provides a plausible explanation. However, the Commission is not speaking truthfully about an increase in the concentrated short position. The CFTC’s own data, in weekly Commitment of Traders Reports (COT), show a sizable increase in concentrated short positions of some 12,000 contracts (60 million ounces) from levels before July 1st to the August Bank Participation Report. More importantly, the real issue is not about when the one or two U.S. banks increased their short position, but how large that short position grew in the August Bank Participation Report. The CFTC is deceiving a U.S. Congressman by attempting to reduce the argument to when the short position was increased, not the obscene and manipulative size of the position. This is deception through omission and misrepresentation. What difference does it make when the manipulative position was established? The issue is how can a short position of 25% of the world production of any commodity, held by one or two U.S. banks, not be manipulative? Bear Stearns held the largest concentrated short position in COMEX silver (and gold) futures at the time of its forced merger with JP Morgan in March. That position was not discovered until the publishing of the August Bank Participation Report followed by the October 8 letter from the CFTC to Congressman Miller. Furthermore, Bear Stearns had no legitimate backing to the short silver position, either in actual metal or cash. Otherwise it could have been delivered against or bought back, just as would have happened were it a long position. The price of silver at the time of Bear Stearns implosion was $20 to $21 an ounce. A free market covering of a concentrated short position of this size would have driven silver prices to the $50 or $100 level and would have exposed the long-term manipulation. Rather than let the free market deal with the required short covering of such an uneconomic and unbacked short position, government authorities arranged to have the short position transferred to JP Morgan. This was undertaken by the U.S. Treasury Department, along with taxpayer guarantees against loss to Morgan worth billions of dollars. This was done, no doubt, to save the financial system from imploding. This was also patently illegal, as it aided and abetted the silver manipulation. I’m sure the motive behind the illegal transfer of the silver short position was the mistaken assumption by Treasury that an explosion in the price of silver (and gold) would threaten overall financial stability. Well guess what - they succeeded in crushing the price of gold and silver, but to no avail, as financial stability has been shattered. JP Morgan was not just an accommodative good corporate citizen in the illegal transfer of the manipulative silver (and gold) COMEX short position. In addition to undisclosed government guarantees against loss, JP Morgan was given free reign to liquidate the COMEX short position at their discretion, knowing full-well the regulators would look the other way, no matter what dirty tricks were necessary to cause the price to collapse. Nor was JP Morgan a neutral agent in the silver price collapse. Data from the Office of the Comptroller of the Currency (OCC) http://www.occ.gov/deriv/deriv.htm indicates that JP Morgan held a much larger Over The Counter (OTC) derivatives position in silver and gold than was transferred to them from Bear Stearns. My analysis shows that Morgan has made many billions of dollars, perhaps tens of billions, from their downward engineering of silver and gold prices from their combined COMEX and OTC short positions. They have used that engineered price decline to buy back as many short positions as possible. If investors are wondering what caused the destruction of billions of dollars in gold and silver values, metal and share price alike, look no further than JP Morgan, and the government officials who enabled them. There can be no question that the CFTC is complicit in all these illegal activities. Same with the CME Group, owner of the NYMEX/COMEX. It is not possible that they are not privy and an active party to this successful downward manipulation. To think that officials at the CFTC, from the top of the agency, to staffers and even the Inspector General, have taken oaths of office to uphold commodity law and then have allowed that law to be repeatedly violated is beyond repugnant. That they have knowingly participated in an organized cover-up of this manipulation and have taken to lying to a Congressman calls for criminal prosecution. As bad as this is, it gets worse. The downward manipulation of the price of silver, initiated by the U.S. Treasury, undertaken by JP Morgan Chase and sanctioned and aided by the CFTC and the CME Group has proven so successful in destroying investment values that the low price of silver is now threatening to destroy tens of thousands of jobs of those who mine silver for a living, here in the US and throughout the world. Who do these people think they are that they can allow the artificial paper price to alter real supply/demand fundamentals? Those in charge of enforcing the law have enriched a few sleazy bankers who trade toxic paper derivatives at the expense of tens of thousands of innocent investors and now ordinary workers. This should make your blood boil. While investors in silver will soon see a strong snap-back in silver prices, it is too late for those workers who have already lost their jobs due to the artificially depressed price of silver. At risk remain those jobs that will be lost if silver doesn’t rebound quickly. Silver mining is tough and dangerous for rank and file workers, much tougher than pushing paper derivatives. The fact that those who regulate our markets don’t see that distinction needs to be rectified. One thing that I have never understood is why silver mine management has not taken a more active roll in pressing the regulators to more fully address the increasing evidence of a silver price manipulation. I suppose it has to do with fears of offending those Wall Street firms which may provide future financing and the false pride that goes with having denied in the past that a manipulation could exist. But surely those managers have now seen what a depressed price of silver has done to their stock prices and the fate of their companies. To still do and say nothing leaves their companies in grave danger. I think it is time for the employees themselves, and the unions that represent them, to take some initiative to help themselves. Losing jobs due to crooked behavior by big banks and their regulators should be a lightening-rod issue for employees, unions and Congressional leadership in the districts affected. I’m certain that legal action against the parties responsible for the price manipulation would result in substantial financial damages awarded to rank and file workers hurt by the manipulation. To that end, I offer, as much as is reasonably possible time-wise and free of charge, any consultative advice to any union or Congressional representative interested in bringing action against those responsible for the manipulation. For investors, conditions never looked better for the long-term merits of silver, precisely because of the recent crooked take down of the price. You should do two things. Buy as much silver as you can and write your elected officials to end the silver manipulation scam. ...as of November 4, just two U.S. banks held 22,684 contracts net short in silver. All traders classed as commercial by the CFTC held a collective net short position of 27,908 contracts with silver then at $10.20 the ounce. So, just two big U.S. banks held a gargantuan 81.28% of all the collective commercial net short positioning on the COMEX, division of NYMEX. It is not even fair to call the two U.S. banks position a “net short” position. The banks were so certain that they could drive the futures price of silver lower on November 4, that they did not hold a single long contract for silver then. No wonder silver has since tested as low as the $8.40s on the cash market. No, that’s not fair at all, but it apparently is fine with today’s regulators at the Commodities Futures Trading Commission (CFTC) and the Securities and Exchange Commission (SEC). When there is a government-allowed imbalance in the futures markets in the strength of the opposing forces of speculators versus hedgers and short sellers, (between buy and sell), such as now, it can cause the normal price discovery purposes of the exchange to become dysfunctional for a time. Hedgers take positions in futures markets to offset corresponding opposite positions in other markets in order to protect against adverse price movement. Short sellers profit if the price falls. This report believes that the lack of speculative long buying pressure from shell shocked futures traders may have temporarily given the two or three big U.S. banks holding enormously large short positions the edge to drive down bullion prices with impunity since July, but that situation will eventually reverse itself. 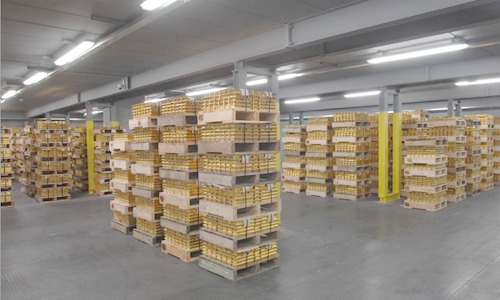 Either speculative buying interest will return to the futures markets with enough force to overwhelm the dominant, but increasingly isolated short sellers, or else the exchanges will lose so much of the underlying physical metal from their warehouses to the physical market to convince them that prices have gone awry. New data from the CFTC, provides the clearest proof to date of a manipulation in gold, thus vindicating the long-held position of GATA (the Gold Anti-Trust Action Committee). It is my hope and expectation that GATA, run by Bill Murphy and Chris Powell (Ed Steer, a director, is a close friend), will take the evidence and do everything in their power to ram it down the manipulators’ throats and end the gold and silver manipulation. I would like to offer further evidence of manipulation with the intent of convincing the staff of the Enforcement Division of the CFTC of the continuing crime in progress. In somewhat of a twist, I would call on all gold proponents and investors to study this evidence, as it pertains mainly to gold futures trading on the COMEX. The evidence is found in source data published by the CFTC, in the form of their weekly Commitment of Traders (COT) and monthly Bank Participation (BP) Reports. The Bank Participation Report for positions as of February 3, indicates that three or fewer U.S. banks hold a record short position in COMEX gold futures of 111,190 contracts (over 11 million oz). an increase of 28,690 contracts from the January report. The previous record short position by U.S. banks was 86,398 contracts in the August Bank Participation Report. In other words, the current short position held by two or three U.S. banks is almost 30% greater than the previous record. After the previous record August short position was reported, gold prices fell almost $200 over the next two months. Will that happen again? I don’t know. What I do know is that if gold prices do suffer a sharp decline, it will only be because this manipulation by two or three U.S. banks was successful. Allow me to put the concentrated short positions in gold and silver into perspective. As the February BP report indicates, one or two U.S. banks held a 29% share of the COMEX silver market and two or three U.S banks held a 32.1% share of COMEX gold futures. Of the 73 markets covered in the report, no other market has a U.S. bank percentage even close to silver and gold, save the smallest market listed, 90-day EuroYen Tibor (Although I have over 35 years of futures experience, I don’t know, nor do I wish to know, what that is). Please keep in mind that the Hunt Brothers and all their reported associates had a futures market position (COMEX and CBOT combined) that was under a 10% share of the total silver futures contracts outstanding at that time and were charged with manipulation. What aren’t short positions three times as large also manipulative? You might further ask, "If the manipulation in silver will end regardless of what the CFTC may or may not do, why do you (meaning me) persist in focusing on this issue? Why not just sit back and let it happen? Well, I have no choice in waiting to let it happen, so I guess the question is whether to keep quiet about it. The answer to that is while the manipulation presents the strongest reason for buying silver, it is a market crime of the highest order. There is no more serious market crime than manipulation. It is the equivalent to Murder One, Treason or kidnapping. 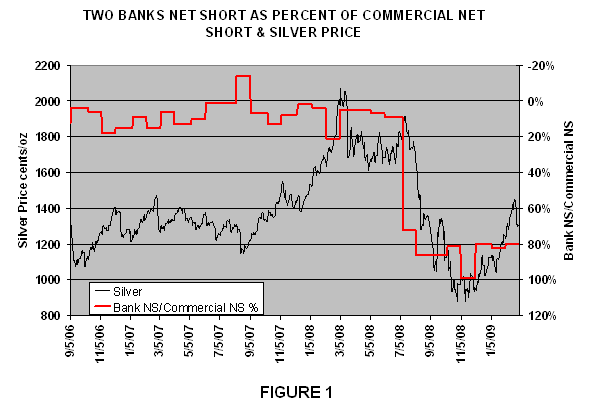 Figure 1 shows the price of silver in black which is tied to the left hand scale while the net short of two US Banks as a percentage of the total commercial net short is on the right-hand scale. I have inverted this scale so that it moves in the same direction as price. An increasing short position means the price will be driven lower. What can be seen very clearly is that from July to November 2008 the two US Banks went from having just 9% of the total commercial net short position to having 99%! The correlation with price is evident. The indisputable conclusion is that these two banks dominated the market to the extent they represented the entire net short position of the commercials and as such they controlled the price of silver, which is illegal. Furthermore, the amount of contracts that were sold short to achieve this represented 25% of the annual global mine production! Could there be any clearer sign of manipulation? So given my unsophisticated and likely know-nothing analysis, at least 85% of the world's short participation by banks in the Comex is due to 2 US banks. There is absolutely no reason for US banks to be responsible for >85% of the silver short contracts except for the purpose of manipulative price capping. It has come to my attention that several private parties have accepted contract assignments to neuter the COMEX and London Metals Exchange, to render ruin to its gold market. That bears repeating from the rooftops. MUTLIPLE HIRED HITMEN HAVE ASSIGNMENTS TO KILL THE COMEX GOLD MARKET. That is the lynchpin to control the USDollar, the USTreasurys, and the corrupt mechanisms used by the New York and London syndicates. Their clear criminal behavior is beyond the reach of law enforcement, but they are not beyond the reach of hitmen. The USDollar has been in violation of the US Constitution since 1971, perpetuated by a renegade series of administrations. The global creditors for the USTreasury Bonds are so angry at the past suffered losses, the prospect of deep future losses, and the corruption laced throughout the US financial system, that they have hired third parties to kill off the US$-gold platforms, to destroy the burdensome banking ballast dominated by protected entrenched fraud experts, to lay waste to the vehicles used by the US-UK bond trafficking syndicate totally saturated with corruption, dishonesty, and collusion, replete with greed, totally absent conscience. They have systemically been dismantling the COMEX pillars and levers over the last several months, quietly and without fanfare, surely without publicity. If gold investors knew of their actions, they would become much bolder. Some want the bankers in their gunsights not to be warned. They await their fate with the Financial Grim Reaper. Their executions will be as swift as brutal. 2. Has the CFTC gotten religion? More on Butler and the "Game Changer"
How badly beaten-up are Canadian, U.S. and China silver miners and explorers? No hype, no leverage, no bubble. Spot silver ($silver) closed at $11.69 on August 17, 2007. As of 12/24/2009, $silver was $17.47. Only the junior microcaps and Industrias Penoles have any kind of leverage. The weekly low on August 17, 2007 was the inspiration for my model portfolio of silver miners. Final thoughts on last weeks smash in gold, silver, JPM, Obama limits on proprietary (prop) trading. "If you were holding the largest short position known to man and got word that there may be some change of thought to restrict your position you would want to stay ahead of it and try to buy back as many short contracts as you could... and the way you do that most efficiently is to rig some kind of sell-off in the market and induce technical longs to sell in order buy back as many short contracts as possible. My speculation is that is just what JP Morgan did this week. I believe the most important event at our Toronto CIGA meeting was the testimony of two attendees. Two men spoke independently. One is a Canadian resident from Russia and the other from Poland. Both said the same thing, "All the signs that preceded our inflation of more than 100% per year are here now in the West."